My Smarties keep 3 notebooks in ELA: Reading, Writing and Word Work. In our Word Work notebook we complete figurative language, analogies, homophones, and our mentor sentences. We have been practicing really hard to review and learn similes, alliteration, and onomatopoeia this month. It has been a big focus for us in our notebooks and our mentor sentences. 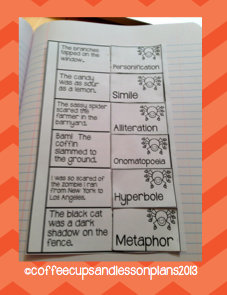 To have a little fun during Halloween I made up a set of Figurative Language cards for practice. I introduced them this week as I began solidly meeting with my novel groups. I meet with one novel group each day for about 20 minutes. While we are working in group, my students are required to complete 2 word work activities for the week. One of these activities revolves around our spelling unit, and the other I interchange. 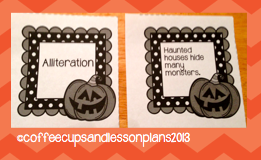 Right now, it's my Halloween Figurative Language Pack. My class has been doing a great job working through the similes, alliteration and onomatopoeia concentration style. 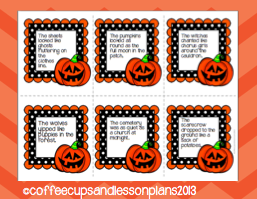 I created 6 sentences that are Halloween themed for each figurative language type. This week they are working in pairs to match the three types I have reviewed. Sorry the picture is a little blurry, but each sentence is related to something "Halloweenish." For example: "The witches chanted like chorus girls around the cauldron." They also were required to put a foldable into their Word Work Notebook. The foldable contains a definition, and then my students were required to write an original sentence containing an example of the figurative language type. 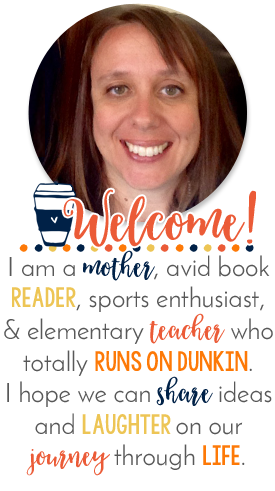 Next week I'll actually have them put a gray-scaled copy of the similes, alliteration and onomatopoeia into the Word Work Notebook, and complete a cut and glue activity as well. 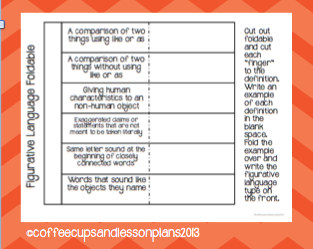 I'll use the cut and glue as a little formative assessment to see if they have mastered the three figurative pieces we have been reviewing, and also to see what students are familiar with the other 3 types we have to focus on. I'm really excited to see this use of language, along with my mentor sentences start to come out in my student's writing. 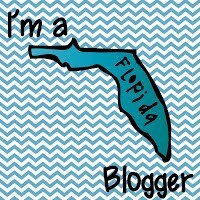 Fingers crossed it continues when I begin informational writing! If you are interested, the pack is sold in my TpT store.